It’s well known that Seattle is home to some of the world’s most beloved bands and musicians, like Jimi Hendrix, Kurt Cobain, and Pearl Jam. It’s no wonder, then, that it’s also home to a thriving community of visual artists. In addition to open mics and underground music performances, consider checking out some of our favorite galleries while you’re in the city. Run by the University of Washington, The Henry predominantly features contemporary art, and the history of photography. If you visit in July or August, be sure to check out their upcoming showcase of the works of Mickalene Thomas. Thomas is known for her large-scale, texturally-intricate paintings of domestic interiors and photographs. Henry Art Gallery: 4100 15th Ave NE; 206-543-2280. This Pioneer Square gallery is located in an artist-run cooperative building called Tashiro Kaplan. It’s known to showcase fresh, experimental work by emerging artists. 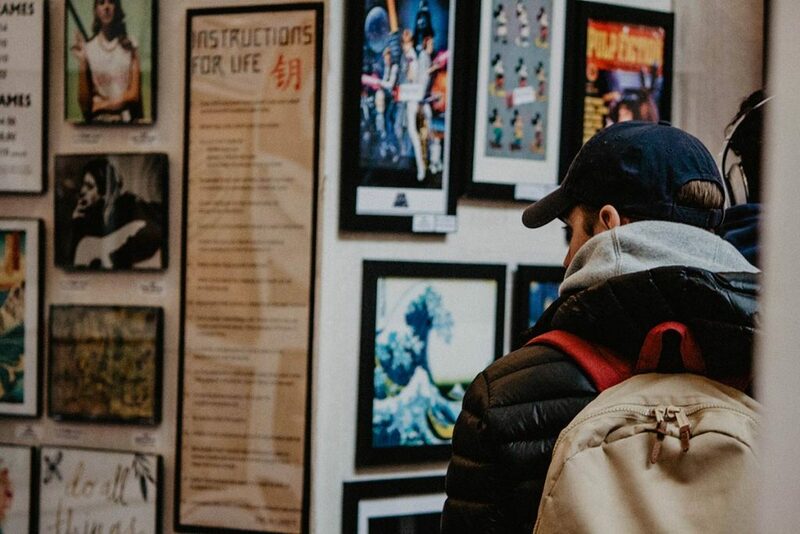 Pro-tip: go on the first Thursday of the month for the city’s largest art-walk. It’s the longest-running art walk in the United States. SOIL Gallery: 112 3rd Ave. S.; 206-264-8061. This combination bar and art gallery is located in the heart of Seattle’ Capitol Hill neighborhood. Exhibitions tend to be very approachable, and are often accompanied by poetry readings and live music performances. Locals appreciate it as a low-key addition to a neighborhood that’s started to feel a little hoity-toity. Vermillion: 1508 11th Ave.; 206-709-9797. Ghost is a charming little gallery tucked behind a wooden fence and down a little path lined with twinkling lights in Capitol Hill. It features paintings, photographs, sculptures and jewelry from local artists. Frequenters also appreciate the gallery’s well-curated wine selection. Ghost Gallery: 504 East Denny Way. Heading to Seattle this summer? Check out our blog for more tips on what to see, where to eat, and more.